Earlier this week, I shared my thoughts on a recent trip to the island of Hydra, in Greece’s Saronic Islands. 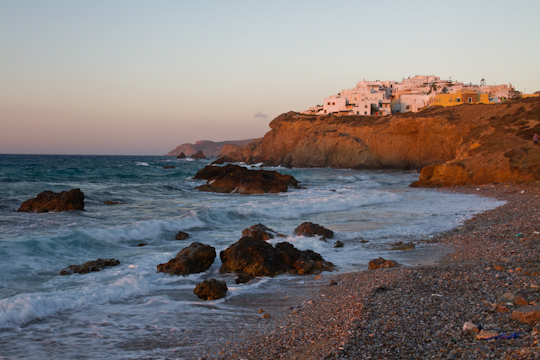 We spent the second half of our Greece trip on the island of Naxos, in the Cyclades. It turned out to be the perfect combination of two islands with two very different feelings and cultures, but each with its own unique characteristics and benefits. 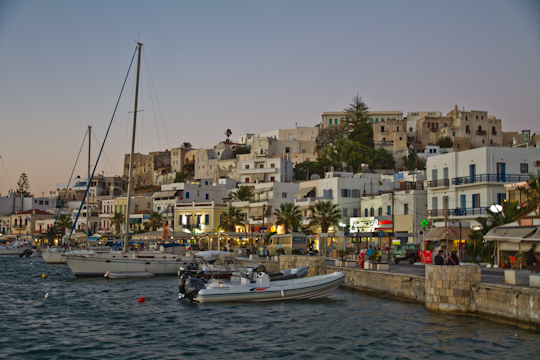 Naxos is the largest island in the Cyclades, which also includes the nearby islands of Mykonos, Delos, Ios, Paros and Antiparos, Santorini and Folegandros, among others. 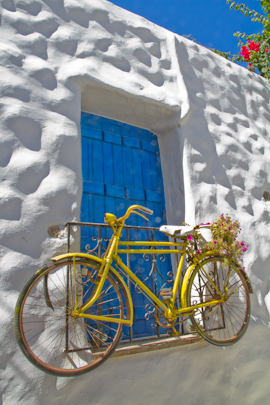 Naxos offers a number of activities ranging from hiking, cycling and 4×4 tours to sailing, boat excursions to other islands, sailing, scuba diving and beach bumming. 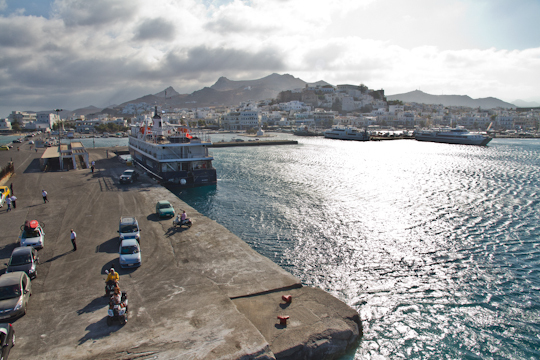 Coming from the tranquil Hydra, we were a bit at a loss to figure out how to pack everything in to our four short days. We stayed in the old town (Chora), which I would highly recommend to anyone not planning on spending 100% of the time on the beach. The old town is a bit of a walk from the beaches, but does have a wonderful swimming spot off the breakwater and offers an endless selection of intriguing shops and restaurants and exploring in the labyrinth of the pedestrian walkways that has conquered the hillside. 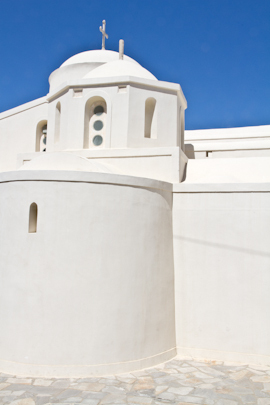 We had one disappointment in Naxos: due to high winds, our day excursion to Delos and Mykonos was cancelled. But we more than salvaged the day by renting a car from the downtown Hertz and exploring the mountainous center and nearly deserted eastern and northern coasts of the island. 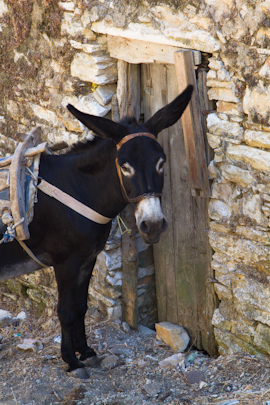 We visited mountain villages, pristine beaches, olive groves, Byzantine chapels and a 14th/15th century Mycenaean tomb in the village of Koronida. 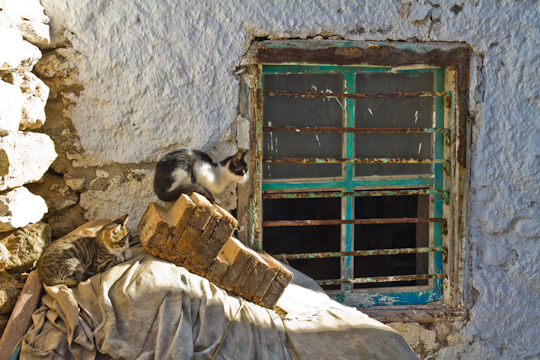 I was going through a bit of cat withdrawal in Naxos after our constant encounters in Hydra, but we did manage to make a few friends in our new island home. We spent our last full day in Naxos with British expat and former travel photographer, Stuart Thorpe, on one of his Hidden Naxos Tours. We were afraid he might repeat some of the spots we visited with our rental car the day before, but Stuart most definitely brought us down back roads and to hidden treasures you would never find on your own or with a normal non-4×4 car. He also gives you history, cultural insights and intriguing anecdotes to keep every minute of the day interesting. I highly recommend Stuart’s tours – but best to reserve ahead. 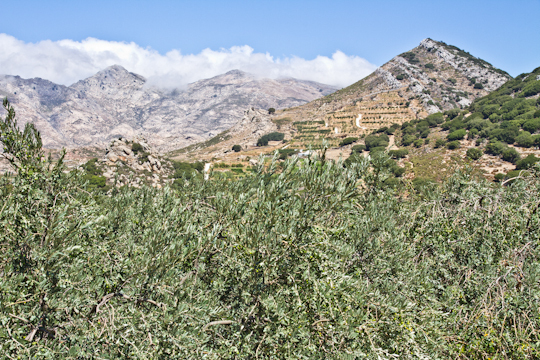 Click here for my post on the island of Hydra. 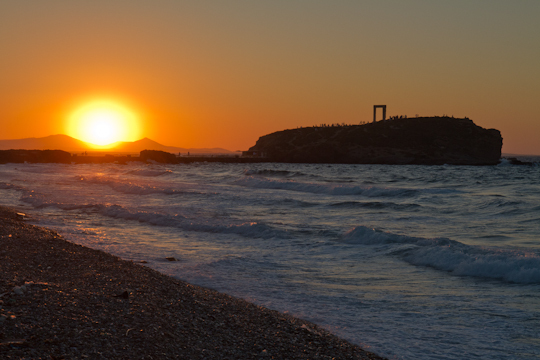 You can see my full Athens, Hydra and Naxos itinerary here. 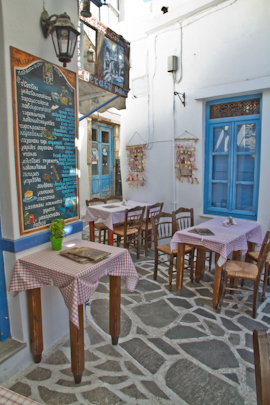 I invite you also to view more photos of Naxos, Hydra, and Athens. Have you visited Greece? 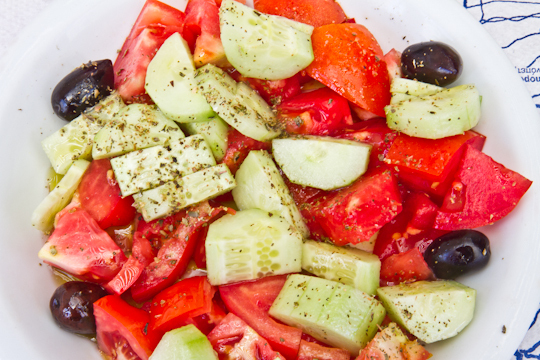 Which is your favorite part of Greece?